Hiya – This is ‘QuirkyBestiary’ from Tumblr here. I have some serious questions about the Velue. I know that this is the version which is most commonly (and correctly) accepted, but I found a radically different description of the entity in the book ‘Monster! An A-Z of Zooform Phenomena’ by Neil Arnold. This is a strange, snake-headed humanoid with quite a history. It resided in French folklore as a beast covered in green fur with long, tentacled suckers on its flesh. 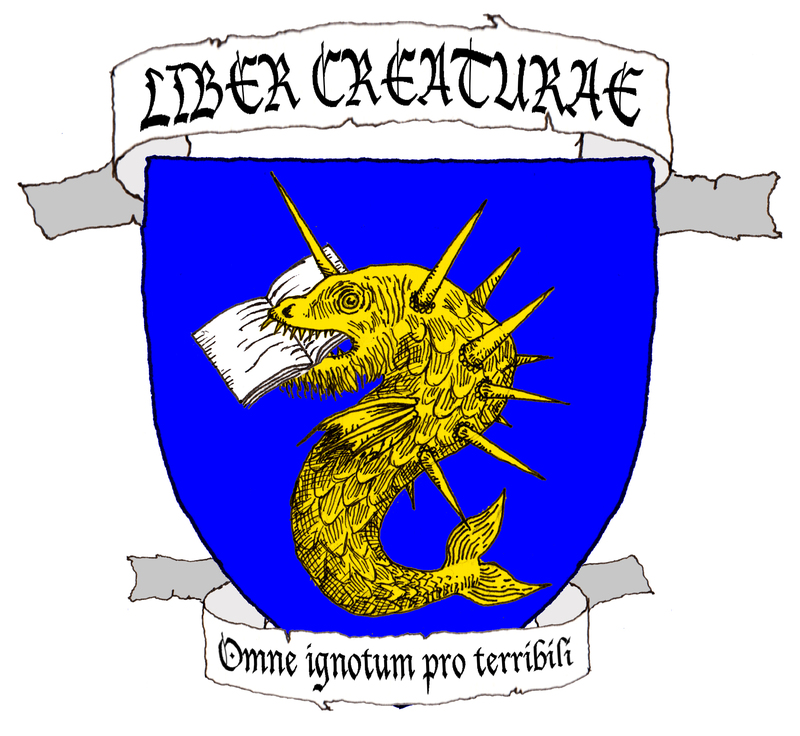 The creature killed its prey by using the sting from its suckers, and was a threat to humans. It was hunted on several occasions, but always disappeared into the Huisine river, until finally it was destroyed. Have you any ideas as to why this might be? Where did he get this idea and how on earth did he come to such a different conclusion as to the identity of the Velue? Is this idea even remotely mythologically valid, because I would really like to use it in my bestiary project! Hi there! I… have absolutely no idea where the suckers or the humanoid appearance came from. I would imagine some kind of weird telephone game starting with Borges’ account and getting more confused with each retelling. Perhaps he was confusing it with the yara-ma-yha-who? I remember that Joe Thomas (wannabedemonlord) has contacted Neil Arnold to get the sources for some of the more obscure creatures mentioned in the book in question, but it turns out that Mr. Arnold has since lost his interest in cryptozoology and has gotten rid of the sources that he used – which is really irritating! There are some amazing creatures listed in that book, most of which are modern but there are some really obscure ancient creatures such as a benevolent purple-skinned phantom hound that I cannot remember the name of. So it seems as if we have no way to find out where Arnold found his information for the Velue. The details seem oddly specific and really intriguing, which is what irritates me about not being able to find it at all. What? How could someone – anyone – lose an “interest in cryptozoology” and GET RID OF sources? That’s just… indecent. I’m sad not to be getting a printed and bound “Book of Creatures,” but I’m just as grateful to learn about unfamiliar beasts like this one. Well, almost. I really like how the eyes are at the at the end of the snoot. It adds a nice effect. Well done. The way you made the head looks really cool. I like this design. I always like monsters that relate back to the deluge. It just gives one an imagination of what Noah had to leave behind. Anything that could survive the deluge must be tougher than old boots. Cool dragon, it remember me the “Pete’s Dragon” of the 1977 Disney film…it “loved” children too! I found this completely randomly and may bring a little bit in my homeland’s folklore, I live in the south of France (or in the North of the Catalunya for some people) and we have a bogey used to scare children from going in the mountain called the Peluda (not the Spanish word, but we use the almost the same in Calatan), which is a hairy man-like monster, eating lost children and lost goats.